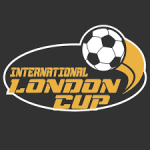 We are delighted and pleased to announce that Bristol Inner City Football Academy have been invited to attend the London International Invitation Cup with our U10 players. This is another high level competition we have been invited to and will be a big challenge for our players on a number of levels. The competition will be of the highest order with some of the biggest clubs in the UK & Europe taking part. The event will take place on June 9th & 10th. Player invitations will be sent out shortly inviting players to take part. For more information see http://www.internationallondoncup.com.